Are you an active cyclist who sometimes wants support when going uphill or into headwinds? Then the Vitality Eco is the ideal bike for you! The AEG EcoDrive motor with a seat tube battery (400 Wh) offers sufficient relief and practical propulsion. You have everything in view thanks to the clear AEG LCD display. With a Selle Royal saddle, a suspension seat post and a Suntour suspension fork, the bike absorbs small shocks easily. That's what makes e-biking fun. The 7-speed Nexus hub gear from Shimano ensures precise shifting into the finely tuned gears. 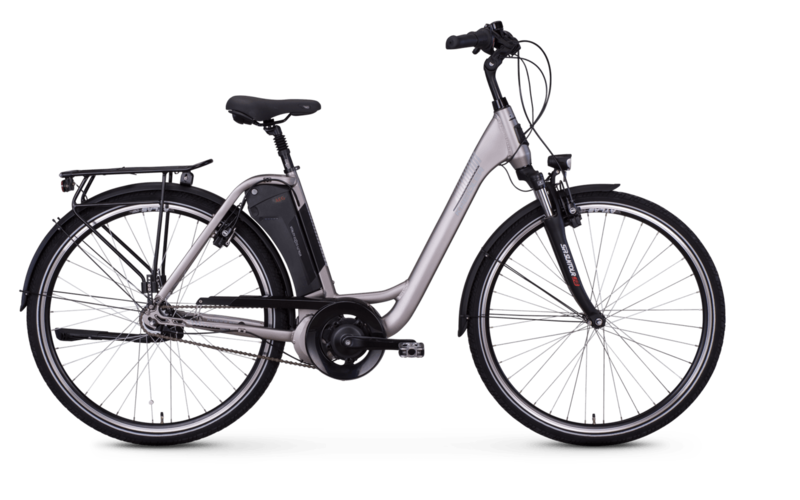 For your safety, the city e-bike has a Magura rim brake and a bright lighting system with parking light. Are you looking for further information about the quality, safety & technology as well as videos and test reports on the subject of Kreidler e-bikes? Click here!